Is it me or is this whole "superfood" idea everywhere? What the heck IS a superfood? Well, to start, there is no set "definition" of a superfood. It is basically catch-all term for a food product that may have a very high nutritious or anti-oxidant content which may provide health benefits. So after searching and researching high and low, I have coupled a list of MY "super foods"! 1. Salmon. How many times has salmon come up on my blog? I may just have to do a blog of salmon recipes. My husband HATES salmon, yet somehow loves my salmon burgers..go figure. Anyway, salmon is FULL of protein, omega-3's (helps with cholesterol! 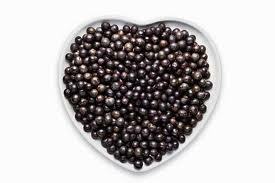 ), has lots of iron and low in calories and saturated fat. LOVE! 2. Blueberries. Out of all of the "berries" these are probably the best. They are low in calories, sweet (so they can satisfy your sweet tooth), full of water and fiber to help you stay full longer, and have LOTS of antioxidants to help protect your body from "bad stuff". 3. 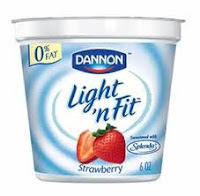 Low Fat Yogurt. The key to this is finding the yogurt that has the active bacterial cultures (this is in most yogurts now). Yogurt is great because it is full of protein and calcium. Also, the live bacterial cultures help to regulate the causes of yeast infections and irregular bowel issues. Try and have low fat yogurt 2-3 times a week as part of your breakfast. 4. Açaí. These ranked below blueberries only because of their price, otherwise they would be the best "berry". These little blue Brazilian beauties have gained a ton of popularity lately, and with good cause. They are known to have a lot of omega-3 fatty acids (like the salmon), antioxidants, a lot of plant sterols (which help to absorb cholesterol) and fiber to help keep you full. Any way to incorporate these into your diet is fine. Most people go for the juice form. If the juice is too strong, you can cut it with water. 5. Green Tea. AGAIN. and AGAIN. how many times do I write about this? Okay, I will just tell you MY favorites, since I should have beaten this into the heads of everyone by now. 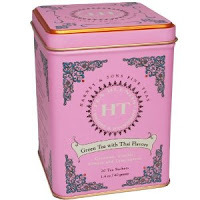 My favorites are the Zen and Orange Blossom Tazo Starbucks Tea and the Harney and Sons Green Tea with Thai flavors..mmmm!! Also, I kid you not...I am drinking green tea right now as I write this! 6. 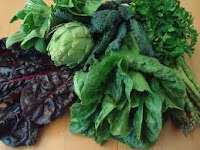 Leafy Green Veggies. Here I'm talking kale, collards, spinach, swiss chard. These little suckers are full of Vitamins A, C and K as well as folate, potassium, calcium, iron, magnesium, lutein and fiber! There are tons of ways to cook these is a healthy way. I love just sautéing spinach with olive oil and fresh chopped garlic. Yum! For me, this blog was about realistic "superfood" goals. I see a lot of TV personalities and advertisements for "super foods" that I am sure are wonderful, but are far from attainable. These are all foods that should be in your local supermarket and everyone should be able to add into their diet. If you have any great recipes for any "superfood" here, please be sure to e-mail it to me, or add a comment and I will make sure to get it on the blog! Keep on doing the right things...have a great week everyone!